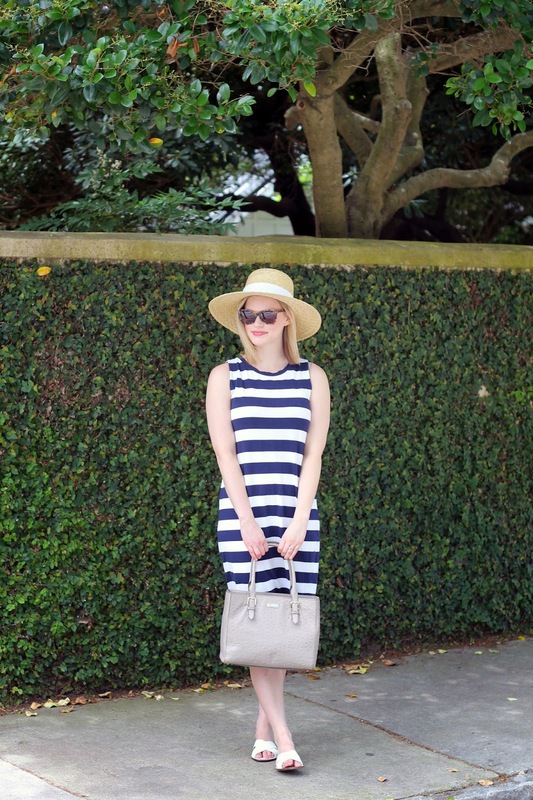 This striped dress is one of the most worn pieces in my closet. I purchased it at Gap almost two years ago, and still find myself reaching for it on an almost weekly basis. 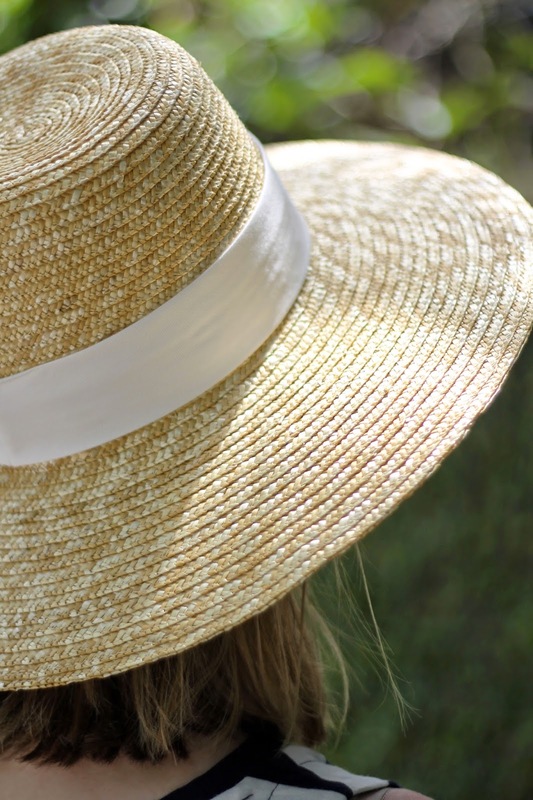 It is extremely lightweight and comfortable which makes it perfect for a hot summer day. 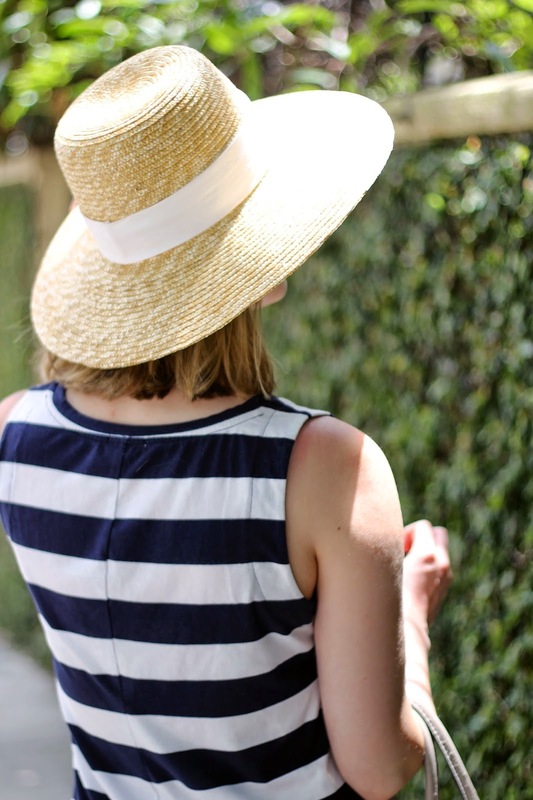 I wore it this past weekend to grab lunch at Saint Alban with my new J.Crew Straw Hat. If you're in Charleston make sure you stop by this cafe. I love their butterbean bowl for lunch, but they serve all day. We went to the beach later that afternoon and I threw this dress on over my swimsuit. 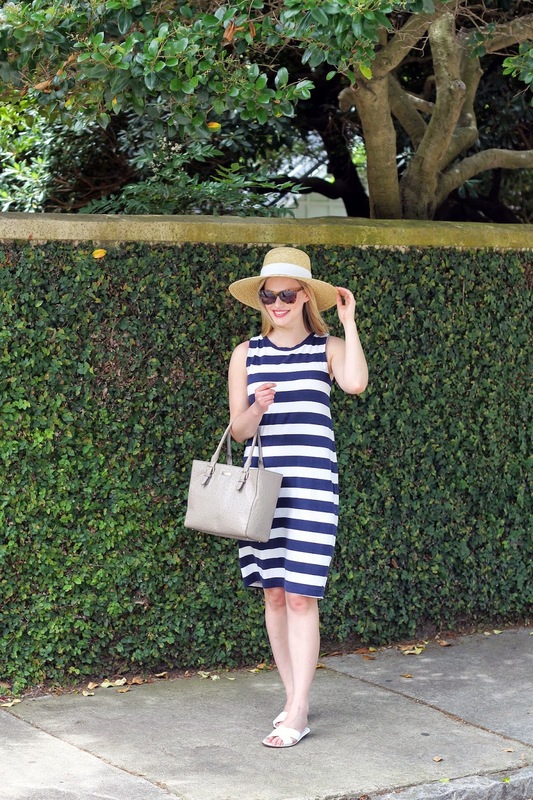 Dress and cover up: the perfect summer combination. Sadly, this dress is no longer available, but I have linked to a few similar dresses below. 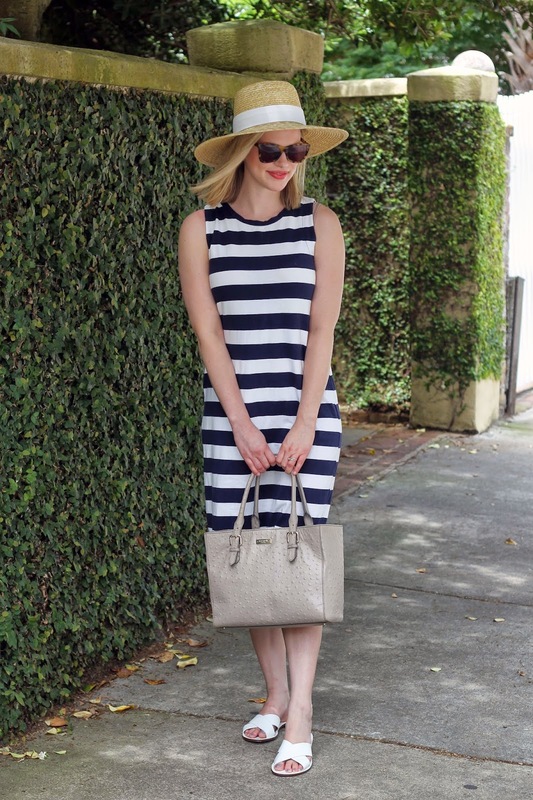 Are there any pieces in your closet you seem to gravitate towards in the summer?